Gordon & Garlick field press questions - Part 1 Peter Gordon and Simon Garlick field questions from the media after the President's statement regarding outgoing coach Brendan McCartney. Peter Gordon has revealed the Bulldogs will have a new captain next season. He is probably unlikely to fulfil a captaincy role in 2015. There will be a new captain at the Kennel in 2015, after Peter Gordon revealed Ryan Griffen will not have the Bulldogs leadership role next season. While Gordon still expects 28-year-old Griffen to honor the final year of his contract with the Club next season, it will be without the captaincy. 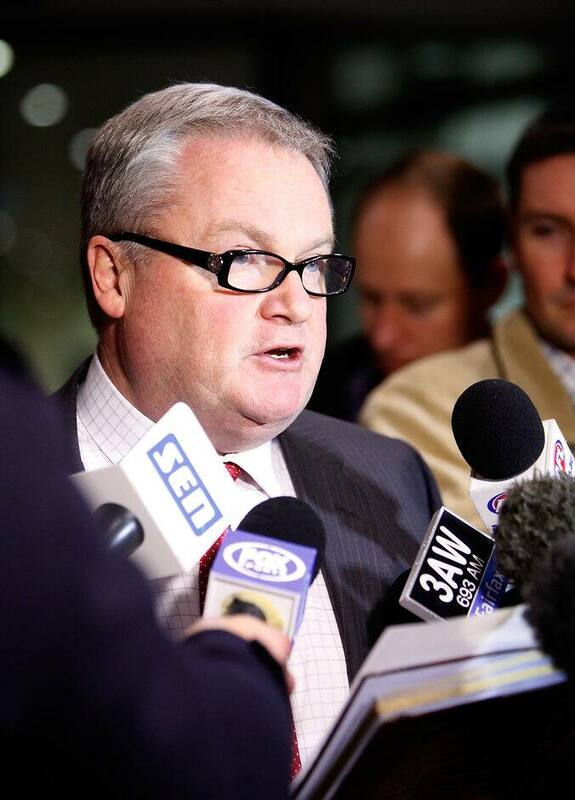 In a post-season review meeting with Football Director Chris Grant and Gordon, Griffen indicated his uncertainty as to whether he was best suited to the leadership role. Through his management on Thursday, Griffen issued a statement indicating his intent to seek a trade to the GWS Giants. "I think it's fair to say one of the very first issues he raised, he has never been comfortable [as captain]," Gordon said. "It's obviously not conduct you would want from your captain, and in addition to that he's said he's not comfortable with the role. "He is probably unlikely to fulfil a captaincy role in 2015." Griffen was named as captain at the start of the 2014 season, succeeding Matthew Boyd.